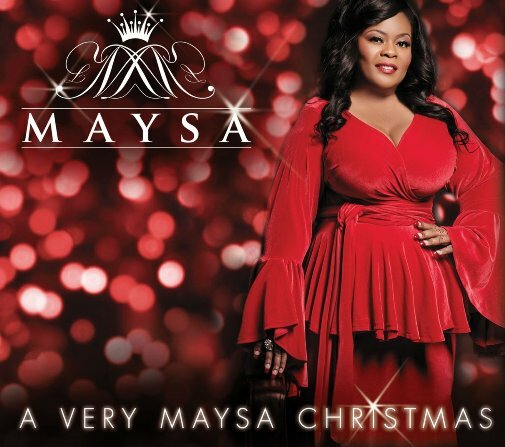 Consistent from beginning to end, A Very Maysa Christmas is a truly special project. A spirited and soulful interpretation of “Joy To The World” sets the tone, with Maysa bestowing the listener with those distinct, nuanced pipes. As captivating as “Joy To The World” is, arguably two of the strongest performances arrive by way of “Silver Bells” and the closing Edwin Hawkins ballad, “Pray For Peace.” “Silver Bells” receives the ultimate jazz treatment, intact harmonic quirks and angularity. It’s further enhanced by Gerald Albright’s celestial sax playing. “Pray For Peace,” an inspiring gospel cut, concludes A Very Maysa Christmas finding Maysa at her sincerest, backed by choir. Truly chilling, “Pray For Peace” is a soul-stirrer – it makes you desire to be your best or at least try. That effect of the power of peace conveyed through her performance seems to be the goal. More than three performances shape A Very Maysa Christmas as the triumph that it is. Generally, the liberties she takes with the carols pay great dividends. “The First Noel” receives something of a ‘left-of-center’ approach, including harmonic alterations, some spot-on melodic changes to the tune, and an anchoring hyper-rhythmic groove. Any sense of predictability is eliminated on Donny Hathaway’s tried-and-true “This Christmas,” where Maysa’s take is incredibly funky and laid back. She also gets an assist from Will Downing, who is always a treat. Original “It’s The Holidays” is infectious, thanks to its Bossa Nova styled groove, which contrasts everything else. Then there’s “Christmas Time Is Here,” the popular Charlie Brown classic, which is transformed from a triple time waltz into a slick, jazzy, and relaxed urban jam. So much more could be said of A Very Maysa Christmas; there’s much buzz to be found. Ultimately, it’s a sensational and memorable holiday album. Strike that – it’s a sensational, memorable album regardless of genre or labels – how’s that for being poetic? Vocally, Maysa leaves her special touch on every single performance – like they say in football, “ [she] left it all on the field.” Whether it’s her knack for exhibiting supreme poise or when she freely releases and conveys earnest, heartfelt emotion, Maysa delivers an album we should be spinning for many Christmases to come. This effort shines from start to finish, no question about it! One Response to "Maysa | A Very Maysa Christmas"